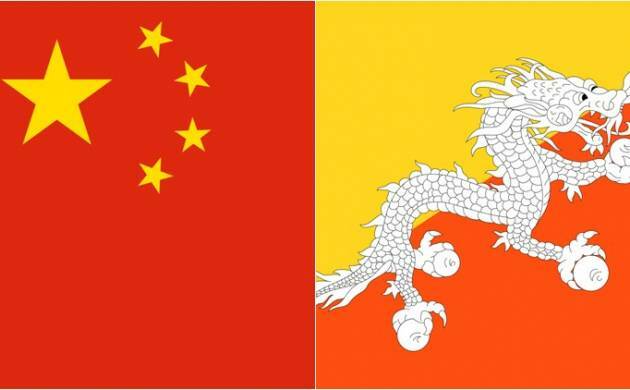 Ministry of External Affairs on Friday called for a peaceful resolution of the conflict on the Bhutan-China border in relations to Chinese excursion in Bhutanese territory. Furthermore, India denied the allegations that its troops ventured into the Chinese territory. Instead, India claimed, that on 16 June, a PLA construction party entered the Doklam area and attempted to construct a road, which led to subsequent efforts to push them back by Bhutanese and Indian forces. "India is deeply concerned at the recent Chinese actions and has conveyed to the Chinese Government that such construction would represent a significant change of status quo with serious security implications for India," the MEA statement said. "In this context, the Indian side has underlined that the two Governments had in 2012 reached agreement that the tri-junction boundary points between India, China and the third countries will be finalised in consultation with the concerned countries. Any attempt, therefore, to unilaterally determine tri-junction points is in violation of this understanding," it added. On the issue of Sikkim boundary, India asserted that the two nations reached an understanding in 2012 reconfirming their mutual agreement on the "basis of the alignment”. "It is essential that all parties concerned display utmost restraint and abide by their respective bilateral understandings not to change the status quo unilaterally. It is also important that the consensus reached between India and China through the Special Representatives process is scrupulously respected by both sides," the statement said. In this context, the Indian side has underlined that the two Governments had in 2012 reached agreement that the tri-junction boundary points between India, China and third countries will be finalised in consultation with the concerned countries. Any attempt, therefore, to unilaterally determine tri-junction points is in violation of this understanding. Where the boundary in the Sikkim sector is concerned, India and China had reached an understanding also in 2012 reconfirming their mutual agreement on the "basis of the alignment”. Further discussions regarding finalisation of the boundary have been taking place under the Special Representatives framework. India has consistently taken a positive approach to the settlement of its own boundary with China, along with the associated issue of the tri-junctions.India cherishes peace and tranquillity in the India-China border areas. It has not come easily. Both sides have worked hard to establish an institutional framework to discuss all issues to ensure peace and tranquillity in the India-China border areas. India is committed to working with China to find a peaceful resolution of all issues in the border areas through dialogue.